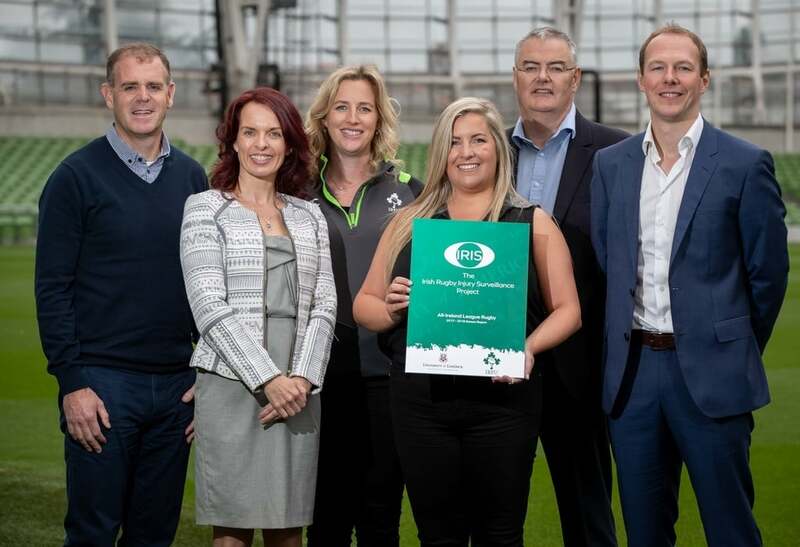 The Irish Rugby Football Union (IRFU) and University of Limerick (UL) have released the first findings from the Irish Rugby Injury Surveillance (IRIS) research project, which looks at injury incidence in both the men’s and women’s All Ireland League (AIL) during the 2017/18 season. This is the first long-term Rugby Union specific injury surveillance research project within amateur Rugby Union in Ireland. The research records the incidence, type, nature and severity of both match and training injuries occurring across the amateur game in Ireland. By monitoring this information, injury trends may emerge which will aid in the development and implementation of future evidence-based injury prevention strategies in order to minimise injury risk and enhance player welfare. IRFU medical director, Dr Rod McLoughlin, commented, “Player welfare is of paramount importance to the IRFU and understanding the nature and type of injury that occurs in rugby is vital in the planning and provision of medical care to players. “Although this is just the first year of collated data from the IRIS project it is clear that there are a number of areas that require further investigation to understand how best to support players, coaches and medical practitioners in the amateur game. The tackle area, concussion and ankle injuries are areas for us to consider immediately while tracking their occurrence rates over the next five years of the UL research partnership. “The IRIS research data will be invaluable in informing how the IRFU address player welfare concerns in the amateur game. As the scope of the research widens to include additional AIL clubs as well as schools and youth rugby the IRFU will have a robust evidence based insight into injuries within the amateur game,” he continued. According to Dr Tom Comyns, IRIS co-principal investigator at UL, “Comprehensive injury surveillance systems in amateur Rugby Union are rare and this innovative project to date has involved the research, design and implementation of an online injury recording platform. Collection has now been completed of a full season’s data and this 2017/18 season report documents our collaborative work with the IRFU, and with 19 male and female All-Ireland League Clubs. It represents 418 matches, over 600 players, and support from dedicated data injury recorders, coaches, doctors, physiotherapists, managers and ancillary staff within clubs”. The data were compiled across 418 matches from 15 male and four female AIL teams. A total of 479 male players and 129 female players were registered with the IRIS project.